When you’re developing a new product or service, there is a process that is common to this development, and it can help ensure that you make the best product or service for your target audience. The challenge, however, is that some entrepreneurs are tempted to skip one of these steps, in the hopes of making the process shorter, but that usually ends up short-changing the quality of the product or service you’re developing. 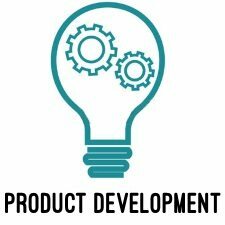 Understanding the necessity of each phase of new product development can give you the confidence to stick with it, even during the most frustrating moments. Bringing products to market to meet the growing demands of customers is becoming increasingly complex. For many firms in the food and beverage sector, years of internal research and testing lead to product launches that meet lukewarm success– and negligible profits. Equally damaging are the great ideas that aren’t pursued, leaving incalculable profits unrealized. Many are rethinking how they develop and launch new products using the best possible formula, while maintaining full compliance with all regulatory requirements.